LOS ANGELES, CA – He may be from the Windy City of Chicago, but this artist is making waves with his music. CrestIsMuzik started doing music when he was six years old, mostly because of his inspiration coming from his father. Growing up as one of five siblings, the artist would often imitate Michael Jackson, in which he often took the lead in vocals. No matter what, he continued to find himself recording his own music, and loved listening to his own range develop. Soon enough, CrestIsMuzik began writing his own lyrics all throughout his middle and high school years. “My teachers would let me perform for the class. I would bang on the desks in front of the class to form beats, and my classmates just loved it all. At this point, I knew I wanted to perform in front of people in the future,” said the artist. He never stopped making his own harmonies and beats, which was no surprise when the people around him constantly asked him to perform with them. Rap music began to be at the forefront of his mind, and he knew he possessed the talent to grow something out of his passion. 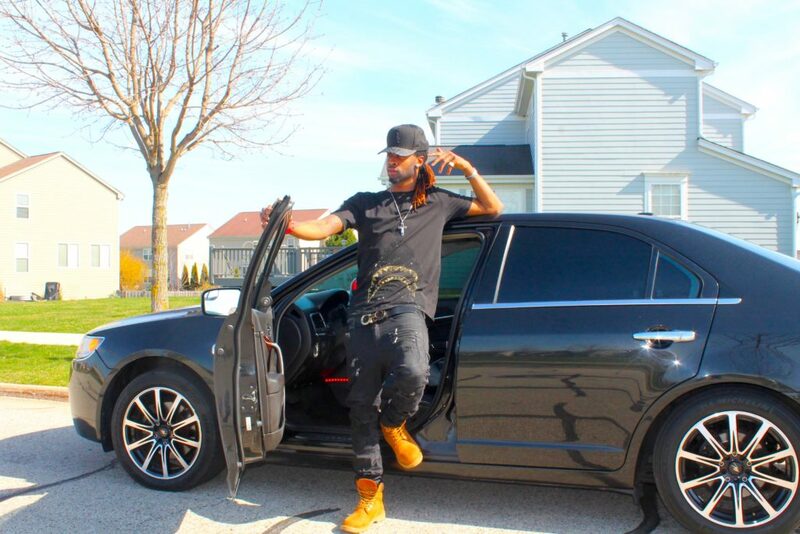 One of CrestIsMuzik’s proudest accomplishments to date is his first studio session in Indiana, where he recorded his first song. “I can’t even describe how happy I was to hear myself. Everyday, I was dropping my own songs. Pretty soon, my single ‘Too Many Hoes’ started making its rounds on the radio. In fact, the song rotated on Power 92 for four whole months,” said CrestIsMuzik. After seeing the success flood in so quickly, CrestIsMuzik created his first mixtape called “Something Different” with his cousin. When asked about the inspiration behind the project, he put it to us simply: he is just different. He’s not your typical artist; he has his own signature style that makes him who he is. Right now, CrestIsMuzik is focused on continuing to build his ever-growing audience and fan base. Everyone who listens to the artist’s music is left wanting more, and CrestIsMuzik has made it his mission to never stop bringing more music to the table. “I’m fixing to blow the game up. I’m not just tooting my own horn. I don’t have stuff that people are used to. I know it’s gonna go crazy- I know this for a fact,” said CrestIsMuzik. Social media connects the whole world, and the artist plans to use this to his advantage. The sky is definitely the limit for this talented artist. miss out on the release of his upcoming music projects!